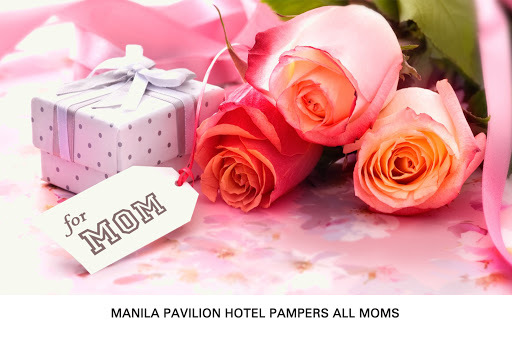 Manila Pavilion Hotel Pampers All Moms - Triple Joys!!! Your mother is walking miracles to you. This Mother’s day show your appreciation and love for her by treating her to a lavish Sunday brunch, the Manila Pavilion Hotel crowns the queen of our hearts with awe-inspiring offerings that is sure to make her feel truly special. Reward your mom with genuine affection by allowing her to celebrate the joy of being a mother. Start the gastronomic experience with (best seller dish that will be served on lunch). Make sure to order The Manhattan Whiskey Shower – a mixture of Bourbon whiskey, sweet Vermouth and Angostura Bitter. To cap off the experience, give in to the heavenly goodness of Patisserie’s Mango Cheesecake. Pamper moms with a relaxing and luxurious getaway by availing our room packages for as low as Php 3,600 nett. For inquiries and reservations visit the Manila Pavilion Hotel at United Nations Avenue corner Maria Orosa Street in Manila. Log on to www.waterfronthotels.com.ph or call 5261212, for inquiries and reservations; Like or Follow @WaterfrontMNL for regular updates.